WHEN WE STEPPED off the train at the small station of Pachora, 250 miles northeast of Mumbai, Lord Ganesha was waiting. A man costumed as the Hindu god was carried by turbaned attendants and accompanied by folk dancers who whirled to ancient stringed instruments, reedy horns and hand drums. Ganesha sported a pinkish elephant head, complete with trunk and oversize ears, but he blessed us with a very human hand. Locals must have felt like the circus had arrived in town, for despite the early hour, they had come to watch the welcome arranged specially for us. It was appropriate to be greeted by the god of good fortune: We were a lucky group—passengers taking a 2,000-mile journey from Mumbai to New Delhi on the Maharajas’ Express, one of the most luxurious trains in the world. Guests playing elephant polo in the private garden of the Maharaja of Jaipur. 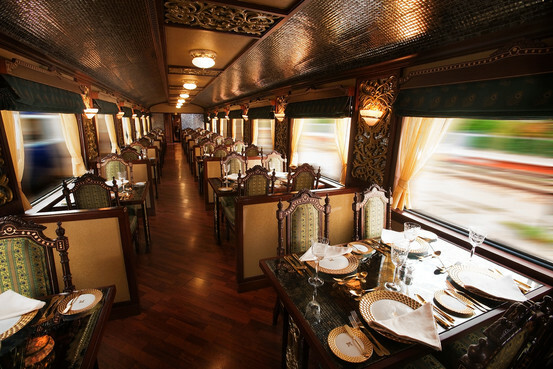 The Maharajas’ Express pays tribute to that regal lifestyle. Nearly half a mile long, the train is a glossy burgundy on the outside. Inside, guests sleep in cabins that feel like upscale hotel rooms, with silk window treatments, carved wood paneling and marble-tiled floors. Travelers feast off fine china and crisp linens in the two dining cars. The staff seems almost to outnumber the guests, which total 88 at full capacity. In the morning, valets brought tea to our rooms. When we trundled through the long line of cars to dinner, staffers folded down our beds, delivered clean laundry and left behind chocolates or a flower. Upon our return from outings, they greeted us with fresh juice or cocktails and cool, damp cloths for wiping the dust from our faces. via Seeing India by Luxury Train – India Real Time – WSJ. Times of India: “China has committed to facilitating Indian exports into Chinese markets to address the yawning trade imbalance between the two countries. Chinese president Hu Jintao said this to Manmohan Singh in his hour-long meeting with the PM at the end of the BRICS summit on Thursday. 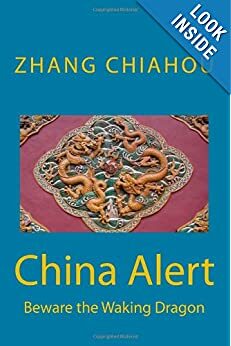 This will be Hu’s last summit as Chinese president. In return, the PM invited Chinese investment in manufacturing and infrastructure projects in India. Chinese companies are kept out of several strategic sectors, but there is a significant change in the Indian government’s approach to Chinese investment. via More Chinese investments in India soon – The Times of India. In the 50s, PM Nehru and PM Chou met and agreed Panchsheel, the five principles of peaceful coexistence. 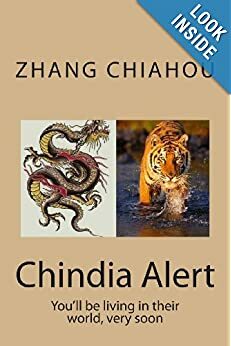 The press coined a phrase Hindi Chini bhai bhai, meaning Indians and Chinese are brothers. It looked like the slogan was reflecting reality until in the late summer of 1962, due to the long-standing border dispute (legacy of British Raj) Chinese tanks rolled over the Himalyas and reached the oil fields of Assam in the East and also in Ladakh in the west. Since then matters have thawed. BRIC (and now BRICS) was invented. This news release is good news, at least for India and China.